Everytime I start a new post, I promise myself to publish more than my once a month. Then as days weeks go by, I just wonder when and where I will possibly find time to cook something new worth-being-posted and publish it online. Time flies. And I just wonder where it goes. What???? School is almost over? (I don't know about you but the Summer-show/Field Trip always sound like end-of-the-school-year to me)... And I have not booked the Summer camp yet! (for my French readers, American children get at least 11, if not more, weeks off in the Summer; how working parents with a minimum of 2 weeks off manage to spend relaxing time with their children in the Summer, is still a big mystery to me). My list of TO DO things keep being longer. My TO READ New Yorker pile gets bigger. My piano practice? What piano practice?? 6 am, it's early...I did try to wake them up 15 minutes later to have them sleep more but they told me that they'd rather be up earlier and have time to play after breakfast-teethbrushing-handwashing than having to leave straight after breakfast (which generally meant no teethbrushing). Anyway, after a day of work in an office, I come home and then again, I feel that I am back on my track-and-field days with a stopwatch in hand: feed the children, supervise/sign homework, supervise teethbrushing, read bedtime stories, turn light off before 7.30pm. Go back into the kitchen to clean the mess and start preparing dinner for the next day, have dinner with my husband (he cleans the dishes if you wonder where he had been!! ), do one load of laundry and few other house chores.... before going to bed early. With the newspaper if I have not had time to read page 2! Knead the dough to bring it together. Divide it in two parts. Take the dough out of the fridge and roll it out. Place in the fridge for about 30 minutes. While the first batch is in the fridge, roll out the second batch. 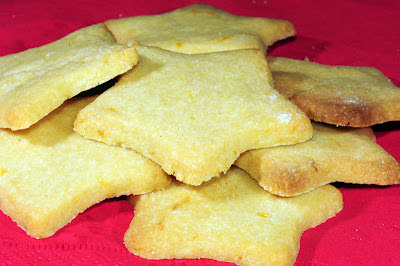 Bake cookies for about 10 mns or under golden brown.